Business sales are not easy venture, and selling a business takes guts. 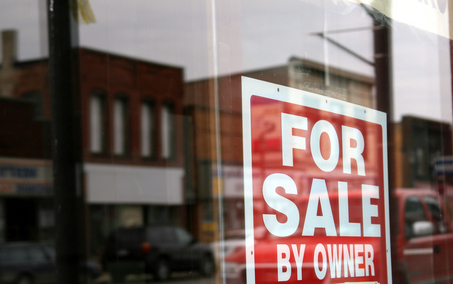 Placing your business for sale is a difficult decision for many business owners. It is hard to leave a place you value and have spent years developing. Even harder, is to risk losing money in the process. A sense of fear is created around the thought of selling and holds many business owners back from placing their business on the market. Outlined here are some of the biggest fears and obstacles we have heard over the years. Repairs- your business needs repairs, and you really don’t want to invest the time or money right now. While it is true that buyers will pay top dollar for a business in pristine condition, you do not have to repair every last thing in order to get your business sold. The key is to focus on improvements that will add value to your listing. After all, there really is no point in spending time and money on something you will not see a return for. However, keep in mind that the big-ticket repairs, like equipment and the business’ overall appearance (i.e. fresh paint, new flooring, a deep cleaning) are areas well worth addressing prior to placing your business on the market. Overworked- running a business may already take up majority of your time, and now you will have to somehow incorporate a mile-long to-do list into it. Once the business is show ready, then the task of marketing it to prospective buyers, and making time to show it and speak with them. Then to figure out what paperwork to file and when, as well as coordinate efforts between lawyers, CPAs, bankers, insurance agents, etc. Needless to say, it can become overwhelming, especially when you take into consideration it is not something that can be done in one weekend, maybe not even within a few months. Debt- clearly, if you owe more than your business is worth, it would not be a very profitable sale for you. However, if you have been relying on online estimates to determine the value of your business, you might not have an accurate picture of what your business is really worth. It is best to get a free comparative market analysis from a business broker in your area. You might be surprised at how much your business would truly value at. For most business owners, the sale of their business is a once in a life-time deal. Hiring a qualified professional can assist you in overcoming your fears. The business professionals at 1-800-BIZ-BROKER have the expertise and experience to get a business sold for the right price, to the right party, and with the least amount of disruption to the operation. If you are thinking about selling your business and would like to know more about how to maximize your sale, we can put you in touch with a professional business broker who has earned the 1-800-BIZ-BROKER seal of trust in your area. Call or visit our website at www.1800bizbroker.com.